Manitou North America introduced a new compact telehandler at World of Concrete 2019 in Las Vegas. Manitou debuted the super-compact Gehl RS4-14 telehandler, a highly versatile machine that excels in loader, telescopic handler, and industrial forklift applications. At just under 60 in. wide and 75 in. tall, this is the most compact model in the Gehl lineup. It boasts a maximum lift capacity of 4,400 lbs., lift height of 14’3″ and outreach of 9 ft. 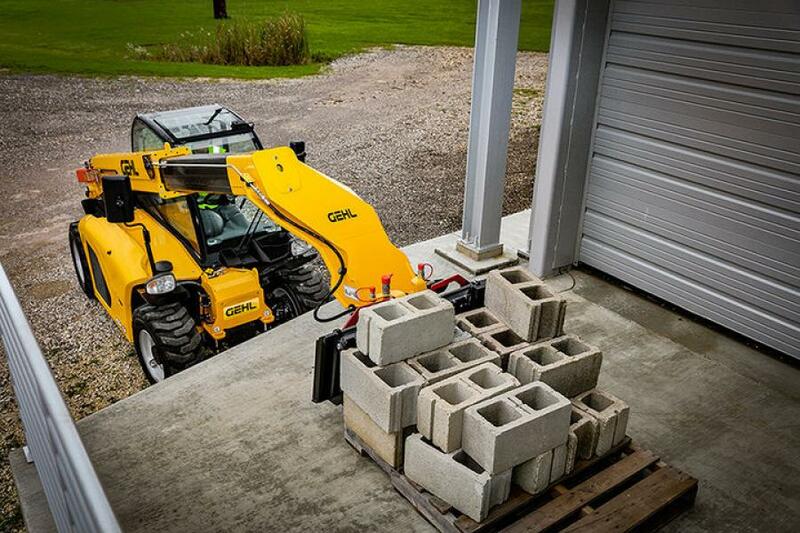 The Gehl RS4-14 telescopic handler has four-wheel drive, three steering modes and a 10’1″ turning radius, so it can work on uneven terrain and in confined spaces. For more information visit manitou-group.com.